Mums are some of the most revered, memorable people in the our lives. Whether it’s their amazing or horrendous cooking, protective or tough love, sense or lack of humour, they are all different and all perfect because they mean something to us. Luckily, Mother’s Day in Marble Arch has something for every type of mumma! Don’t delay – book your table, wrap that gift, or send off that card because 11 March is right around the corner. Whether your mum prefers brunch or a roast, afternoon tea or a casual get together – Marble Arch has everything she could want! 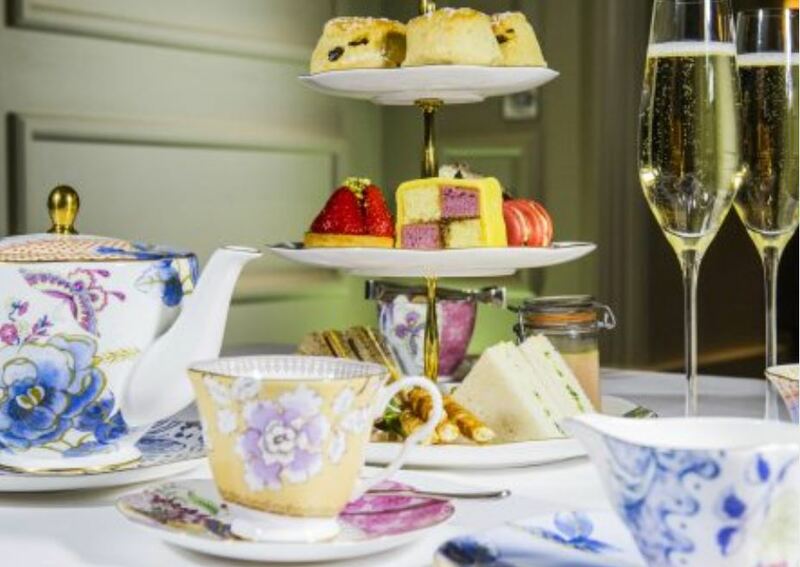 The Arch has arranged for an afternoon tea treat designed to leave mum feeling truly spoilt as she indulges in a variety of delicate savouries, warm scones with traditional strawberry jam and cream and finishes with a mouth-watering selection of seasonal cakes and desserts. Of course, Mother’s Day Afternoon Tea wouldn’t be complete without a cold glass of Tattinger Brut Reserve and a special gift for mum to take home. Available on Sunday 11th March only, 12:00pm to 7:00pm for £45pp. Treat mum to an impressive Sunday lunch at Vinoteca Marylebone, featuring their signature roasts alongside delicious seasonal dishes. Start off with cured meats and cheeses followed by a Hereford sirloin, Old Spot pork belly or Welsh lamb leg with all the trimmings and a giant Yorkshire pudding. Pair your roasts with an ever changing selection of wines by the glass, from Vinoteca’s award-winning wine list that includes over 200 varieties of sparkling, white, red and sweet wines. Plus, pick up a bottle of the 2017 Pink Moscato from Innocent Bystander (37.5cl). Made from an elegant blend of old-vine Gordo grapes and Hamburg Muscat, this Australian sparkling pink wine effortlessly balances acidity with subtle sweetness and tastes superb with a light dessert. Enjoy with mum at Vinoteca for £14 or pick up a bottle in the Wine Shop to take away for £5.95. Roast not to your mum’s taste? Not a problem! Head to Boxcar where she’ll be treated from beginning to end. All mums and grandmas will be presented with a glass of champagne on arrival and gifted with a free dessert following her meal (Or, go rouge and just have champagne and pudding! It’s Mother’s Day, after all). 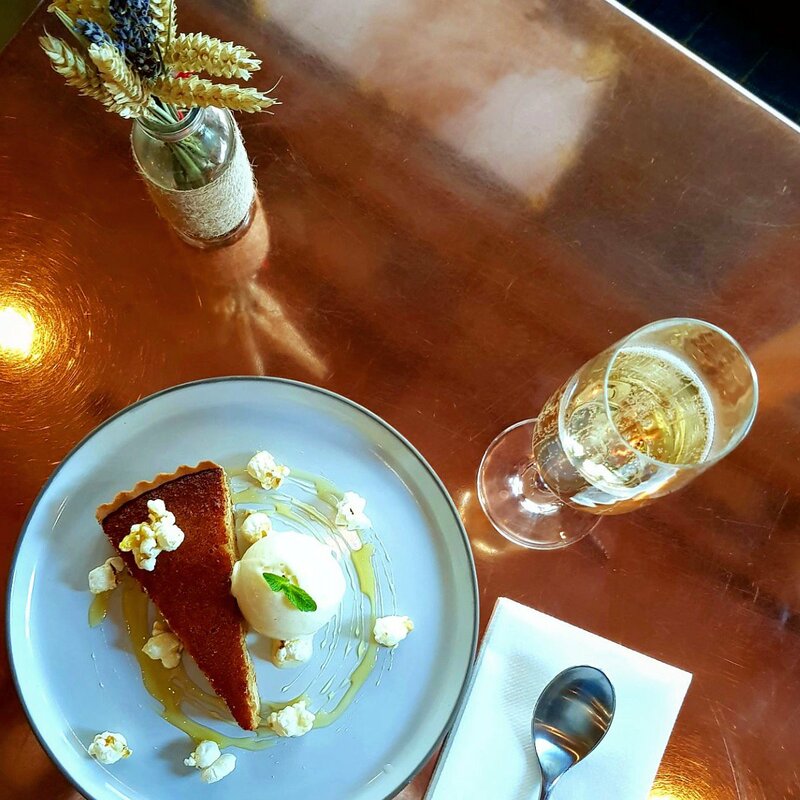 We highly recommend the treacle tart with salted caramel popcorn and popcorn ice cream. Offer something more exotic for Mother’s Day at Hankie’s Marble Arch. 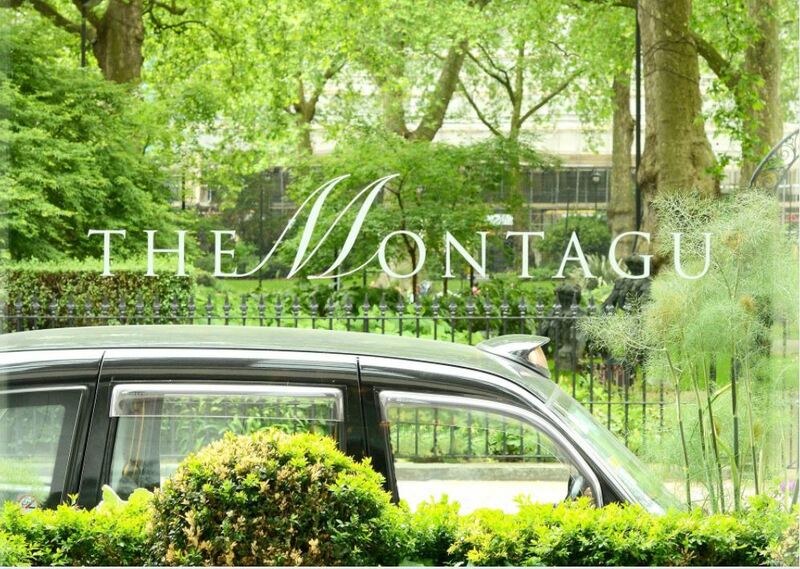 Located in the beautiful surroundings of the Montcalm Marble Arch, Hankies has created a bespoke Brunch Menu for the day for only £34pp, except for mums as they will be treated to a complimentary meal! The menu includes a glass of strawberry, rose and gin fizz to kick-start the feast and a three-course meal developed for the occasion. A starter of Bhindi Bhel is followed by your choice of three mains – Chikad Chole and Paneer Tikka, Kadai Gosht and Chicken Tikka or Prawn Pulao & Baingain Raita, finished off with a signature dessert. 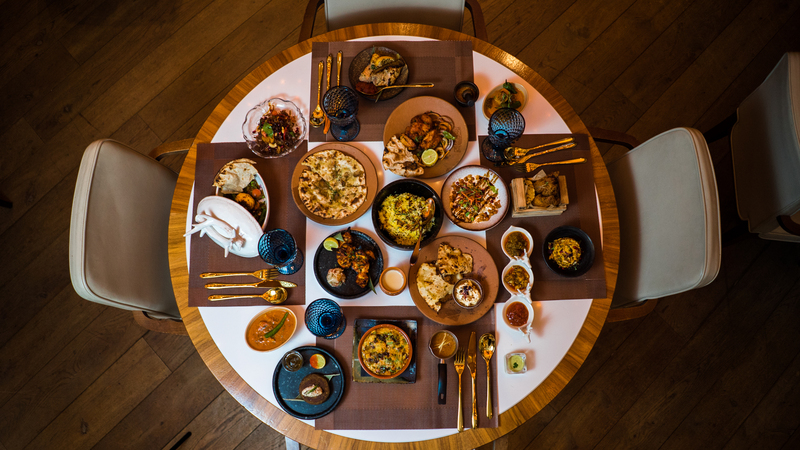 As if this wasn’t enough, the set menu will also see two live cooking stations serving hankies – the distinctive folded roti bread after which the restaurant is named – and Masala Egg Bhurji with Paratha. A mere £10 top up will guarantee you bottomless prosecco for the whole afternoon. Mums shouldn’t only be treated on Mother’s Day, which is why The Pickled Hen is letting mum’s eat free every Sunday during March. With a minimum spend of £20, she can dive into a their acclaimed two course roast dinner for free paired with one of a signature cocktail. We’re partial to the ‘Chick Flick’ made with seasonal Cognac liquer & Champagne. We’ve got you covered with all the treats to tell your mum how much she means to you from cards, flowers and chocolates to gems, bubbles and spas. Although a card might seem like the smallest gesture you can make, Paperchase has tons of varieties so you can personalise your sentiment. Want a cuddly pink kitty adorned in glitter or some sarcastically nonplussed words? No worries – it’s all here. Just don’t forget to send the card! 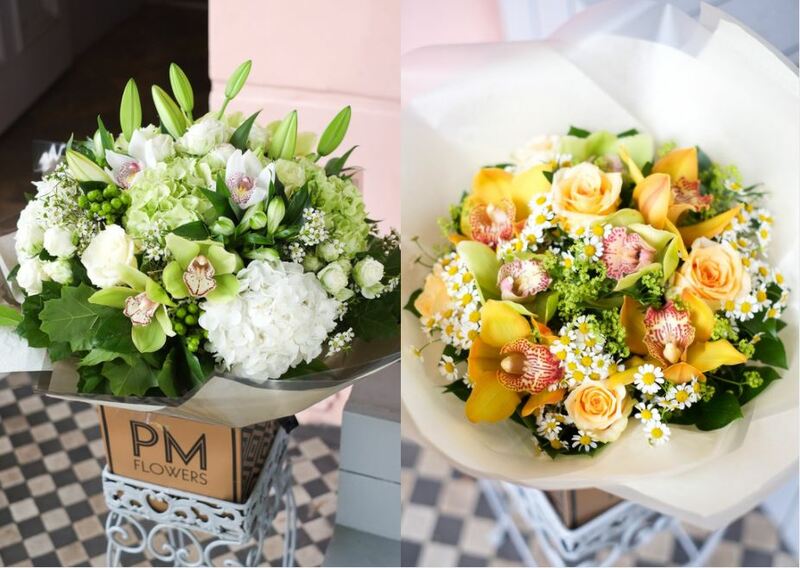 Boutique florists, PM Flowers arrange truly beautiful bouquets mixing traditional and exotic plants and flowers. PLUS, they’ve just launched their online shop and to celebrate are offering 10% off your first order just in time for Mother’s Day! Enter code PMFLOWERSME10 (valid until 20th March 2018). 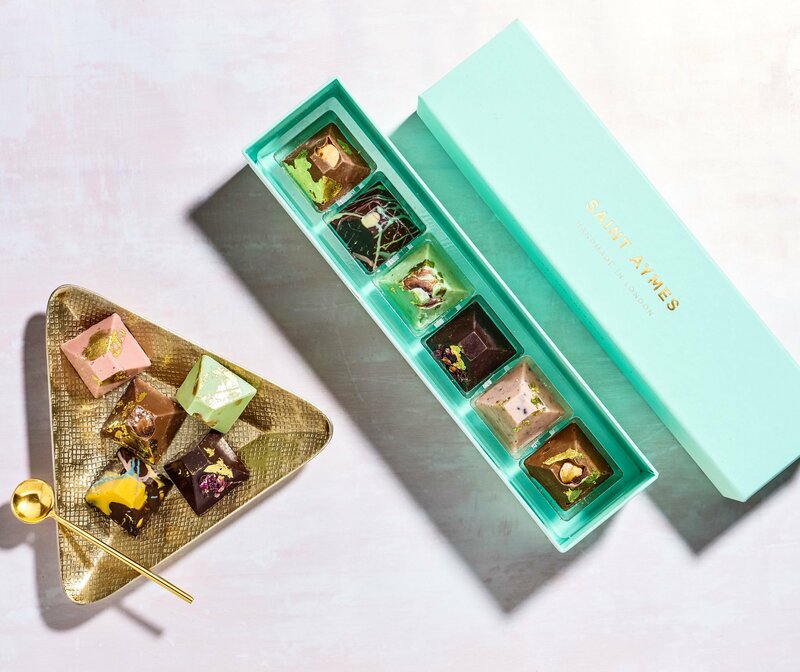 Treat your mum to the most glamorous chocolates (and instagram trend) from Saint Aymes. These chocolates aren’t just delectable, they’re little works of art with enchanting artisan designs that are almost too beautiful to eat – hand-painted with 23ct gold and enriched with opulent colour – need we say more? Let mum luxuriate in unique flavours like San Domingue chocolate, pistachio, Malden sea salt or white chocolate and Oreo. Gift her with a relaxing afternoonat hair and beauty salon, Fé Hair and Beauty for a bouncy, fresh blow dry or stop by Beauty & Melody for all the spa essentials her heart could desire from facials and massages to manicures and eyelash extensions.